Here is a card I used a gold foil doily on. I just cut to fit area, glued down added bling. Thanks. Be sure to join the challenge. Wow, this is stunning and so simple. I'll have to look for some gold doilies. Thanks for sharing with us at Cardz TV. thanks. I found mine at the Albertsons store here in NM. This is absolutely gorgeous!!! Love this! Thank you so much for joining us at CardzTV! Remember you can join our challenge. Great job. Thanks for joining us this week at CTVS for the anything goes challenge. Thanks. you can join our challenge too. 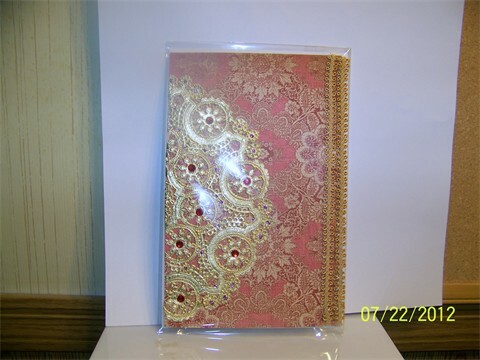 Very pretty card-- I love those gold doilies-- definitely going to need to find me some of those :) Thanks for creating with us at Cardz TV! Great card! Thanks so much for joining us in this challenge! Very pretty! Thank you for joining us at CardzTV Stamps Challenge!! Thanks for joining us over at Cardz TV Stamps.